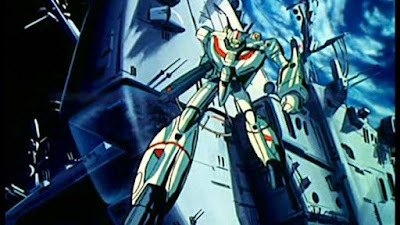 For more than ten years Hollywood has been trying to mount a live-action Robotech, with names both big and small attached to direct at various stages. But it doesn't seem to matter the studio or the director attached, nothing has ever gotten launched. The biggest name Sony Pictures had attracted to the film, James Wan, is now busy with Warner Bros.' Aquaman, so he's bowed out and has been replaced by Andy Muschietti, director of horrors Mama and the upcoming remake of Stephen King's It. Muschietti will take the pilot's seat for Sony's live-action take on the classic anime series, set in a future when humanity has learned to develop giant robots from discovered alien technology. The series is considered one of the best examples of sci-fi soap opera epics, and has been a major influence since it debuted here in 1985. If you know who Rick Hunter and Minmei are, then you were a fan, and probably have an appreciation for Japanese pop songs performed atop robot battleships.